The city has fired Pittsburgh police Sgt. Stephen Matakovich, who was suspended after the violent arrest of an allegedly intoxicated man during the WPIAL football championships at Heinz Field. Wednesday, Public Safety Director Wendell Hissrich upheld an earlier decision by Police Chief Cameron McLay that Matakovich had appealed. Matakovich is out of his job, but he has one last avenue to try to win it back. “We have faith in both Sgt Matakovich’s criminal defense attorneys as well as the criminal justice system. 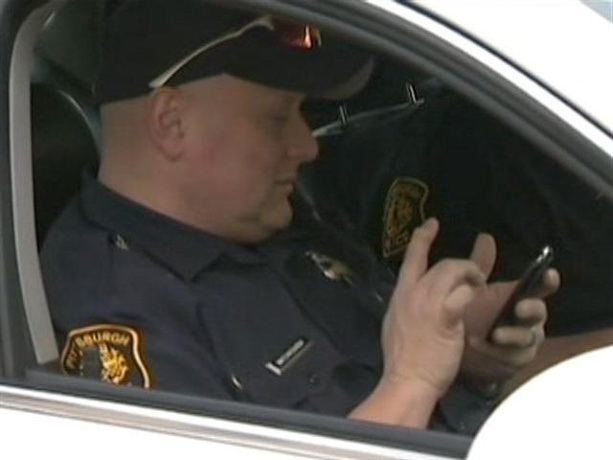 The FOP will continue the internal process, which is arbitration at this point,” police union local President Howard McQuillan told Pittsburgh’s Action News 4. Attorney Bryan Campbell, who represents the FOP, believes the union can win back Matakovich’s job. “He wants to remain on the department. He’s been on the department for a long time. He’s a very responsible supervisor, he’s well-liked by the officers,” Campbell said. Matakovich also faces re-filed criminal charges for his conduct captured on Heinz Field security video. Charges of simple assault and official oppression were dismissedby a district judge at Matakovich’s preliminary hearing Feb. 1. The district attorney’s office later refiled those charges, along with a felony count of perjury. The charges were filed after Matakovich was seen on surveillance video striking Gabriel Despres, then 19, during an arrest on charges of trespass, public drunkenness and underage drinking Nov. 28. Campbell says the union can argue the firing is not for just cause and is not warranted by Matakovich’s history. “It is solely related to an incident that he himself was involved in, and the choices he made in that encounter. This is the consequence of that choice,” said Elizabeth Pittinger,executive director of the city’s Citizens Police Review Board. The CPRB is an independent watchdog agency that was created by voters in a referendum. Some Matakovich supporters have set up a GoFundMe webpage to raise money to help his family. “I can understand why a lot of officers would want to contribute because Sgt. Matakovich is a popular person,” Campbell said. “Hardly. He got caught up in his own conduct.,” responded Pittinger. “A police officer conducting himself in an extremely unbecoming manner, so much so that it resulted in criminal charges. That’s not mass hysteria or anti-police. It’s anti-bullying and it’s anti-excessive force. “He’s a very responsible supervisor, he’s well-liked by the officers, they feel that they feel safe working for him. They feel that he has very good judgment and that this is unwarranted,” Campbell said. “At the direction of my legal counsel, I am not making any statements and will not give any interviews,” Matakovich told Pittsburgh’s Action News 4. Even with a request to expedite the appeal, it could be 45 days before an arbitration appeal hearing for Matakovich.